How about a stunningly beautiful secret jewelry box you can make at home from just a few basic supplies? We’ve seen so many wonderful craft projects and ideas over the years, but we have to say that this is one of the most creative and desirable by far! 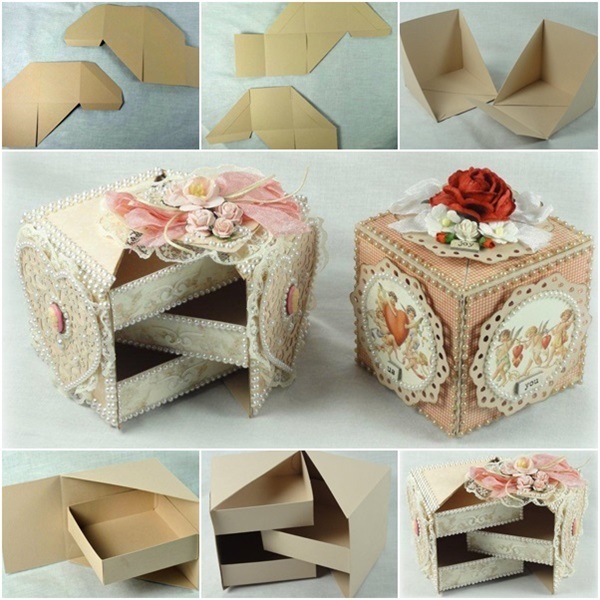 Take a look at these pictures – it’s really quite hard to believe that this beautiful box is homemade and takes no time at all to put together! You’ll find most of the more important steps covered in the images below, though we’ve also included a link to the full tutorial – you won’t believe how easy it can be! Get the kids to join in and make their own secret boxes, or perhaps whip up a few and hand them out as gifts to close friends and family members! Get creative with colors, choose any additional decorative touches you like and feel free to experiment with different sizes.